The Ports and Harbours team initially provided planning and consenting, detailed design and specification for the development of the new Quay 1 for Able UK at the Able Seaton Port (ASP) facility, on Teesside. Our commission also included management of the tender process (including completing a tender assessment) as well as the planning and consenting of the works. Our services have been extended to include the role of auditor of the construction works to ensure the quality of the works is in-line with the design, specification and contractors quality control procedures. Fairhurst was responsible for the production of detailed design, specification and details of the works for the purposes of construction, including all RC detailing of the works. The design adopted precast (preformed) concrete ‘biscuits’ over the top of the piles to improve constructibility, over which was laid the reinforced in-situ concrete slab, forming the main deck. Fairhurst then assisted the Client with quality control of the construction works through regular visits to monitor and audit the works as they progressed. We have also assisted the Contractor in their procurement processes to ensure the works are ‘value engineered’. 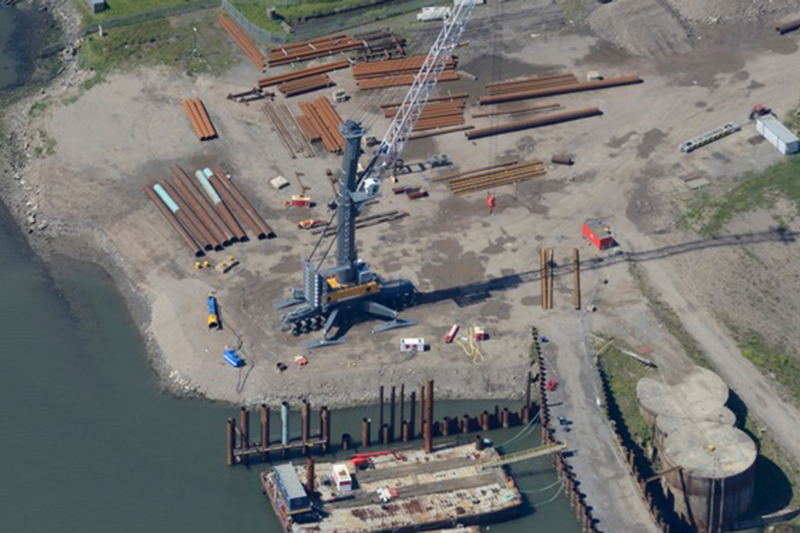 The use of a Mobile Harbour Crane for construction added health & safety benefits and introduced programme efficiencies.